Spidey Day, Part 2: Here Comes the Spider-Man! 17 days until Spider-Man 3!! Whoa, MJ looks royally pissed in that last one. I ... I look at it and I want to run and hide from her simmering wrath. I don't blame her, though ... Gwen continues to look very cute. I really like the Harry and MJ picture. And my favorite MJ pic! :D She just looks beautiful and mature in that one. The pics of Gwen are alright, but that gold curtian, yick. And MJ... hoo boy! I know why she's mad too. I can just remember the part in the book too. But you're SO right - that gold curtain is gawdy as hell. 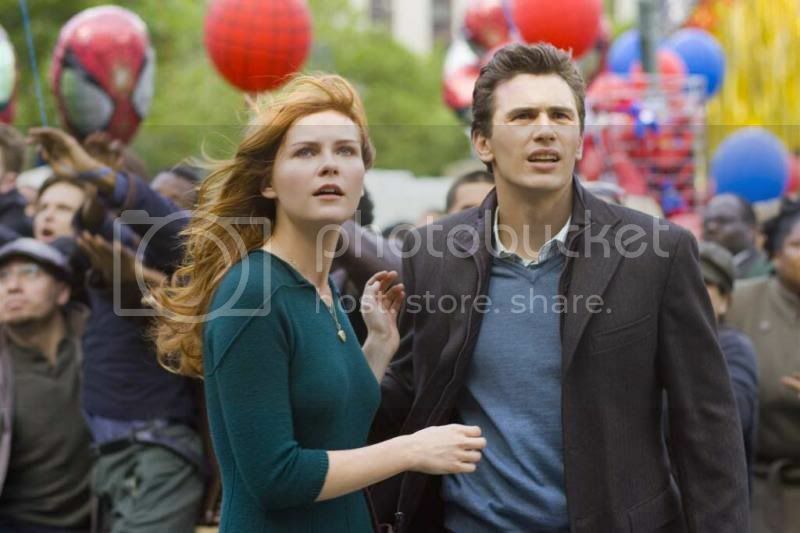 Poor MJ... Peter's having such a good day, and she so isn't... not to mention boyfriends who have serious issues. Another round of beautiful pics and the best ones have the women in Peter's life. Beautiful. Spider-Man's entrance was indeed classic, do you expect no less from the Amazing One. Brock chatting up with our dear Ms. Stacy. Don't give him the time of day, Gwen. He ain't worth it. That last one of Mary Jane was great. She doesn't look too happy probably because her man is with Gwen. Don't worry, MJ. Pete only has eyes for you. Ah, so I see in your recent comments that you are a fan of the Spidey women! I don't blame you, they are beautiful. Sadly, poor Gwen has had a date with Eddie already - but once was enough, and he can't take a hint! Gwen continues to blow me away with her absurd cuteness, and MJ is as gorgeous as ever (hate to make a totally superficial comment, but the green of her sweater really brings out her eyes). I love that last picture--she looks absolutely feral. RAWR! And the ladies are really gorgeous here, aren't they? If he recreates the greatest kiss of all time with Gwen, I'm going to have a heart attack in the theater. But he won't. Petey is certainly in hot water! MJ is teh pissed. I love to see my girl jealous. 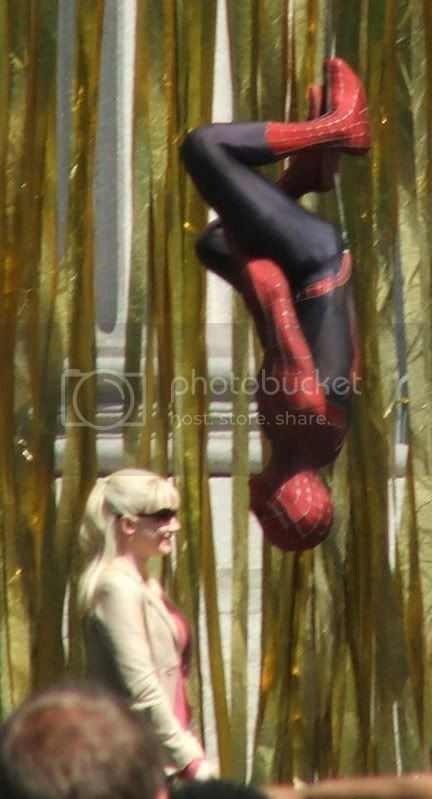 But if Gwen comes between MJ/Peter (and steals my outfit) why does she have to be so pretty? I can't not like her! It's all Bryce Dallas Howard's damn fault.